Some of the artwork, both finished and concept sketches, prepared by Lee Sullivan for the webcast of Real Time. For more of Lee Sullivan’s Dr Who artwork see the links section. Artist Lee Sullivan has been working with the Cybermen for quite some time. He’s come a long way from his early Cyberman illustrations (age 7) …. Real Time Cyberman designed by Lee Sullivan. CGI realisation by Rhys Griffin, Chris Gregory and Kevin Gregory. Based on Lee Sullivan’s stunning new Cyberman designs, Rhys Griffin has created an equally spectacular computer graphic version for this special screensaver. “Dreadnought” was a story in the short-lived series of comic-strips about the 8th Doctor published by the Radio Times in 1996. Although planned for a longer run, the comic strip series was cancelled somewhat suddenly (obliging its author, Gary Russell, to tie up some loose ends that were intended to be part of a longer running story arc). The Doctor appears on a space vessel called the Dreadnought. Here he meets Stacy, who is running from the Cybermen. They capture the Doctor and Stacy, and they find out that Stacy’s fiancé Bill has become a Cyberman. When Stacy makes him remember their friendship, he makes the ultimate sacrifice. He gets killed, but he stops the Cybermen, and after this the Doctor and Stacy have many adventures. Note : In the 10th Doctor special “The Next Doctor”, the gigantic “Cyberking” was said to be a Dreadnought class vehicle. Dreadnoughts were said to be used during Cyber-invasions. Presumably either the 10th Doctor has encountered the Cybus Cybermen using such ships in some off-screen adventure, or he was referring to the use of such vessels by this-universe Cybermen. 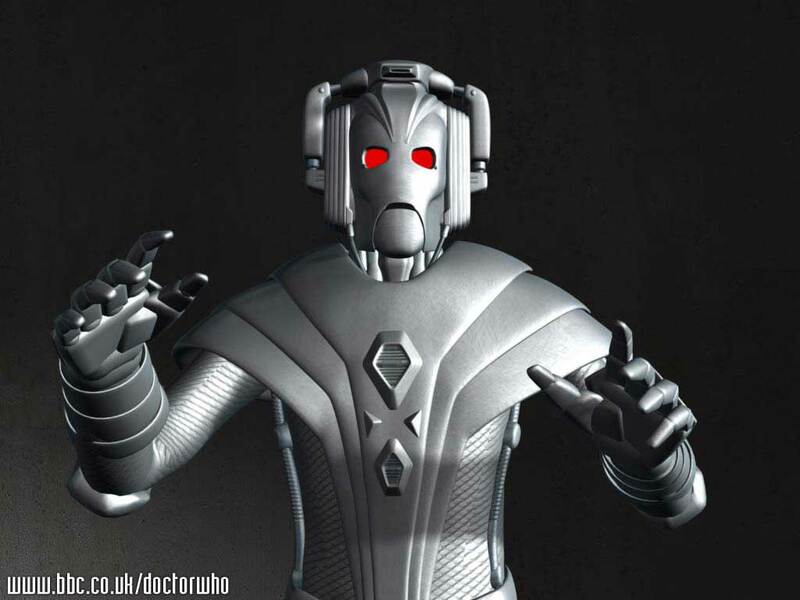 “Dreadnought” featured a new and updated form of Cybermen (effectively a Mk VIII version), a redesign that was the work of artist Lee Sullivan. This design (or one based very closely upon it) later appeared in the 6th Doctor webcast “Real Time” – again drawn by Lee Sullivan. (There will be more on this Cyber-design in a future post). Dreadnought featured the comic debut of the Eighth Doctor. His was the first incarnation since the Fourth Doctor to make his comic debut outside Doctor Who Magazine. Dreadnought was followed by the story Descendance (featuring a return of the Ice Warriors).